The Power Nigeria exhibition and conference, which takes place from 5-7 September at a new purpose built exhibition venue in Lagos – Landmark Centre, is set to once again attract the entire power market value chain, from decision makers and business leaders to experts and trade professionals who will gather to deliberate the latest trends and progression within the country’s power sector. This year’s Power Nigeria Agenda, which runs throughout the three-day exhibition, provides the platform for Municipal, Disco, financial, manufacturing, and solar leaders to come together to discuss the nation’s electricity deficiencies and solutions with the greater electricity market. The event promises to move strategic and technical discussions forward on topics such as Reaching last mile customers; Managing project and financial risk; and Building on and off-grid solar capacity. The 2017 edition will be its largest to date and is set to attract over 100 exhibitors from 11 countries, offering visitors a first look of some of the latest products available on the market covering transmission and distribution, cables, transformers, switchgears and lighting. This year, there has also been a significant increase in country pavilions from one to three with representation from Turkey, China and India. 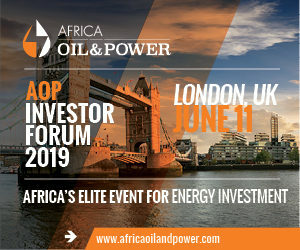 “If you look at all the growth areas Power Nigeria, from exhibitor numbers and country pavilions through to planned product launches, we’re confident that this edition is the most suited to date to assist the country’s growing power sector. Solar is becoming an increasingly import industry sector and we have made sure that our content streams this year are set up to support discussions on how to grow solar in the country.” said Anita Mathews, Group Director – Industrial Group, Informa Exhibitions. Some of the standout exhibitors this year include Cummins, Polycab, Gil Automations, Beta Transformator and Skipper Seil. Power Nigeria draws on the strengths of Informa Industrial Group’s geographical foothold in the Middle East and Africa through its partner events Electricx and Solar-Tec in Cairo, and Middle East Electricity in Dubai, which holds the title of world’s largest power event.